K 2 Compact Car 16731290 https://www.kaercher.com/ae/home-garden/pressure-washers/k-2-compact-car-16731290.html The "K2 Compact Car" high-pressure cleaner is ideal for removal of normal dirt, easy to transport and includes a Car Kit with wash brush, foam nozzle and car shampoo. The "K2 Compact Car" high-pressure cleaner is ideal for removal of normal dirt, easy to transport and includes a Car Kit with wash brush, foam nozzle and car shampoo. The "K2 Compact Car" is both compact and powerful. This high-pressure cleaner is mobile and easy to store. The Car Kit includes a wash brush for effective removal of grey film on vehicles, foam nozzle and car shampoo in a 500 ml collapsible container. 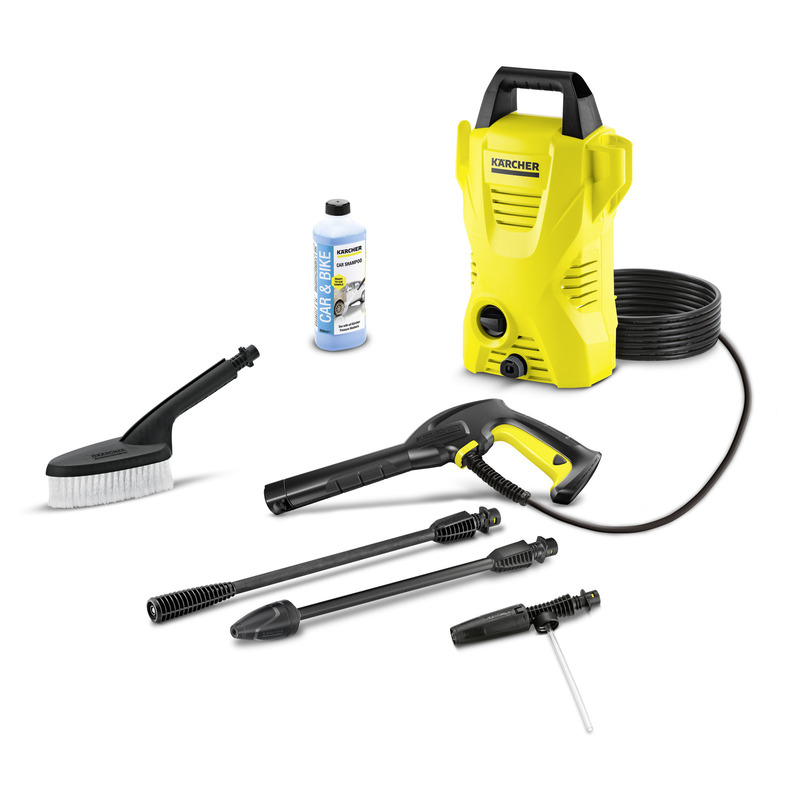 Features include a trigger gun, 4 m high-pressure hose, spray lance, dirt blaster with rotating pencil jet for removing stubborn dirt and a water filter which reliably protects the pump against the ingress of dirt particles.